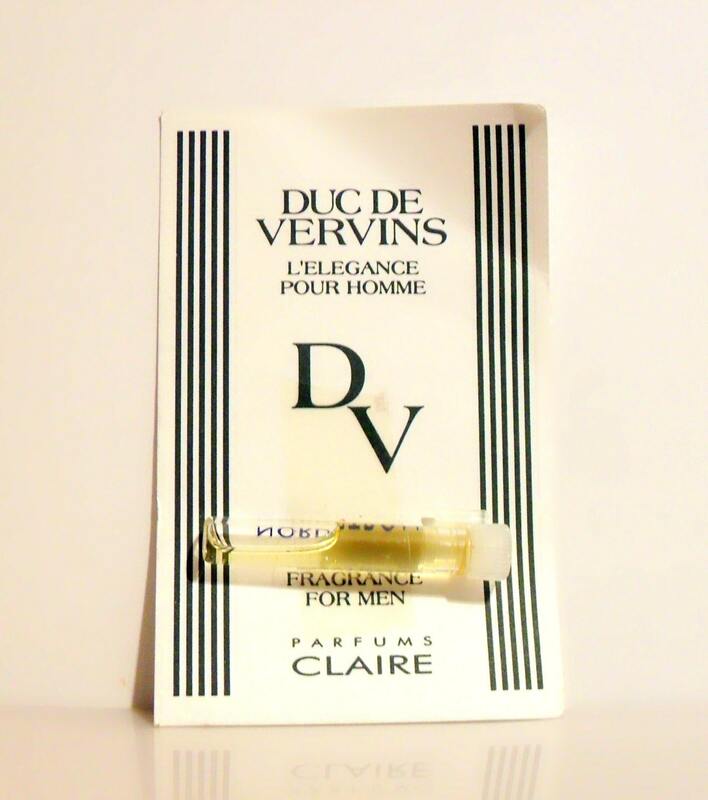 Vintage 1990s Duc de Vervins by Parfums Claire Cologne Splash Manufacturer's Sample Vial on Card. This is the original, discontinued vintage fragrance with the green lettering on the bottle. The later versions have blue lettering before being changed to a new formula with white lettering and a new font. Duc de Vervins was launched in 1985 by Houbigant, it was subsequently discontinued, but then reformulated and relaunched 1991 in association with Parfums Claire. It is classified as an aromatic fragrance for men.